A few weeks ago I asked my friend, Kim Wilder-Lee, if she would write something for Kid In The Front Row. She said yes, and since then, I have been restlessly anticipating it. 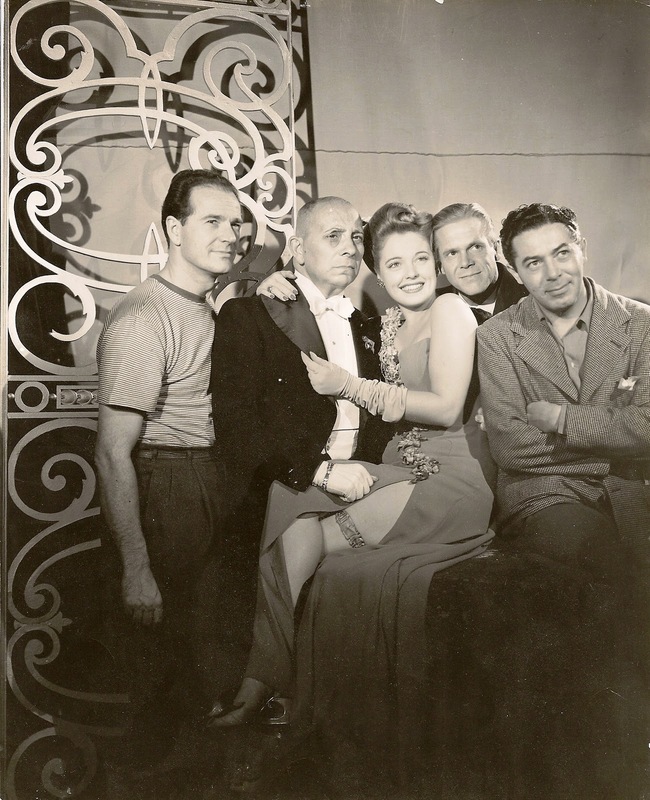 Kim's great uncle is one of my all-time film directing heroes, Billy Wilder. She is also related to another wonderful Wilder, who she will tell you all about. And if that's not all - she is also a fantastic writer in her own right. The best thing I can do now is shut up and hand the writing over to a Wilder. Growing up with the name Wilder in Hollywood has had its fair share of plusses. Those old enough to remember my great uncle Billy have been awed and proud to know my connection to him and to call the relative of a seven-time Oscar winner, friend. People love to hear of Billy’s numerous and celebrated bons mots and marvel at his well known, rapier-like wit. Upon learning my last name, many younger people have immediately assumed that I am related to Gene and wonder why I in no way resemble the comic genius with the crazy red hair and sparkling blue eyes. These same people are stunned to later learn that Gene Wilder was really born Gene Rosenberg and that Wilder is simply a stage name. 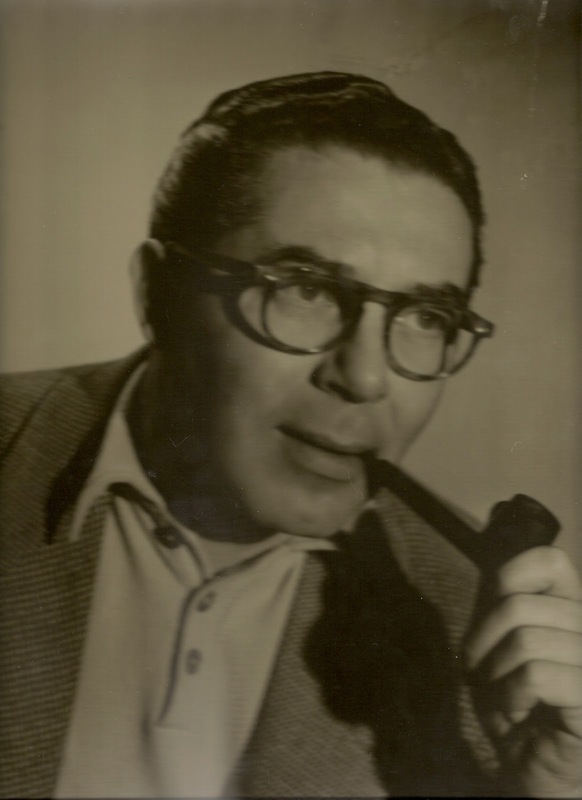 But there is a forgotten Wilder very few people remember – also a filmmaker of note – who was in fact, my grandfather. Willie Wilder was born in Sucha (now Poland) in 1904 and he and his family moved to Vienna in 1916. Billy Wilder’s older brother emigrated to the United States in the 1920s and became a very successful businessman in New York. He did not enter filmmaking until the 1940s and did so under the name of W. Lee Wilder (“Willie” was considered too close to “Billy,” who despite actually being born “Samuel,” had claimed the name since childhood). While certainly less famous than his sibling, Willie, along with many of his European-born filmmaker brethren, is currently the subject of a fantastic film noir book by UCLA media studies professor Vince Brook, entitled Driven to Darkness: Jewish Émigré Directors and the Rise of Film Noir. The reason that I am so proud of his inclusion in this beautifully written and deeply researched book is that up until now, Willie’s contributions to film have been largely ignored in the face of Billy’s astounding and celebrated accomplishments. Billy is obviously known for directing such enduring classics as “Sunset Boulevard,” “The Apartment,” “Double Indemnity,” “Stalag 17,” “The Lost Weekend” and “Some Like it Hot,” and for his screenplays for “Ninotchka” and “Sabrina,” among many others. But Willie Wilder left a legacy of depth and breadth in the B-film world that is quite remarkable, given the fact that he was neither a writer nor a producer. “As for Willy’s auteurist credentials, in terms of property selection and creative control these likely surpassed those of the high-flying Billy – at least throughout the early 1950s when Billy remained contractually bound to Paramount Studios. 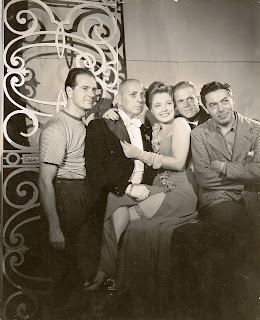 Left-To-Right: Anthony Mann, Erich von Stroheim, Mary Beth Hughes, Dan Duryea and Willie Wilder on the set of "The Great Flamarion" (1945). Sadly, my grandfather and his brother, Billy, were not close. In fact, despite my grandfather, who was already very well established in business on Long Island, NY, helping out his penniless brother when he first came to this country, Billy has always spoken very uncharitably about him. But to those who knew Billy, this was typical of the seven-time Oscar winner. Billy only cared about his famous Hollywood friends and being the center of their creative, artistic world. According to my great aunt, Audrey, Billy’s wife, “All great men are difficult,” and Billy was no exception. My grandfather, Willie, on the other hand, was a kind and considerate man who was a wonderful father to my dad, Myles, and a loving grandfather to me. Which is why I am so grateful to Vince Brook and his wonderful book that celebrates the works of both men – especially that of my grandfather, and lauds his work alongside that of other cinematic legends. Willie left an important film noir legacy and I am proud of his innovation, independence and creativity. He was an important film noir filmmaker and a terrific Grandpa. I hope you get a chance to seek out and view his work. * Driven to Darkness: Jewish Émigré Directors and the Rise of Film Noir, by Vincent Brook. Rutgers University Press, 2009. Kim Wilder is a third generation Hollywoodian. Her grandfather, Willie, was a film noir producer and director, her great uncle Billy is the noted Academy Award-winning writer, producer and director, and father Myles, was a respected, Emmy-nominated television writer and producer. A Journalism major at the University of Southern California, she heeded the call of her genes and spent the majority of her career in entertainment, focusing on public relations for several television studios where she handled such groundbreaking series as “The Simpsons,” “Entertainment Tonight,” and “The X-Files,” as well as publicity for celebrities including Johnny Mathis, Julie Andrews, Sidney Sheldon, David Duchovny, Gillian Anderson, Queen Latifah and many more. An avid polo player, Wilder has written a screenplay that remains as yet unsold, and lives in Temecula, CA with her two children and two Weimaraners. Wow... I'm so sad; I've taken dozens of film classes, even have a few degrees in it, yet this is the very first time I've heard of Willie Wilder. So glad to have read this great post. Great guest post! Just a little factual correction. Gene Wilder was born Jerome Silberman, not Gene Rosenberg. Entrar dando com a porta nos batentes. A mulher como doida e a filha morta. Hey Rod, thanks for the correction about Gene Wilder. Very interesting! And thanks to all for reading (and appreciating) my post. I appreciate you! Aimee - I just saw your note - better late than never! I'd love to connect. Please find me on Faceboook or LinkedIn - Kim Wilder, Murrieta, CA. Hi Aimee. I just saw your post - better late than never!! I'd love to connect. 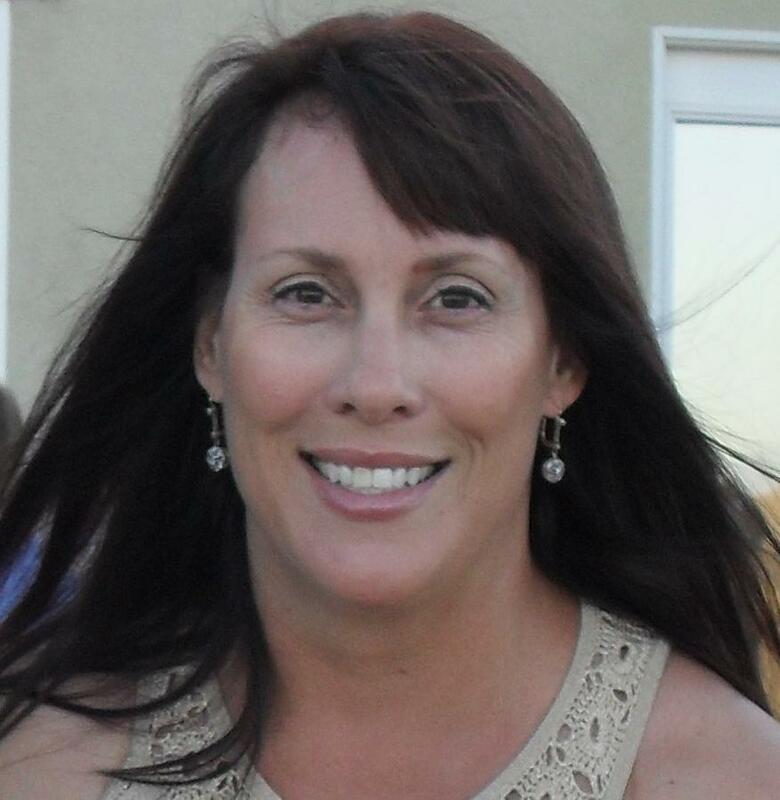 Please reply to this post or find me on Facebook or LinkedIn - Kim Wilder, Murrieta, CA. What If Piracy Really Did Ruin The Industry? Have We Lost Music? Have I?